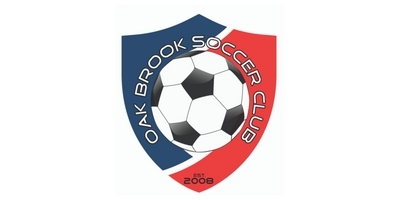 Players need to have fun and love the game first and OBSC staff have the experience and techniques to get the effort out of each player. Once this is accomplished, confidence starts to appear in each player. Players will be introduced to technical and tactical components of the game in a fun and learning environment. Players will be separated during practices and games according to skill first, gender second, and age lastly to ensure each child is being challenged but at the same time having success. U7-U9 Players that progress and graduate our Pre Academy after each season with have the opportunity to move up to our Travel program. CREATIVITY: Players will be encouraged to bring out their creative side with the knowledge they obtained through the season practices working with our staff. This will allow the freedom for each player to experiment new things with the ball. CONFIDENCE: Professional Coaches will ensure building the confidence of each player through positive reinforcement and motivational techniques on the field corrections and discovery questions will ensure the players success in learning the game. COMPOSURE: Players decision making is solely up to the player but coaches will educate the player on each alternative option possible. Players will go through various activities including Agility, Dribbling, Moves, Faints, Passing, Receiving, Shooting, and small sided games that will involve 1v1, 2v2, and 3v3 situations. Players will play 3v3, 4v4, 5v5 small sided games. Players will learn to play all positions on the field including goalie, defense, midfield and forward. The small sided game concept allows players to maximize their touches on the ball along with physical development.